The choice of heat treatment for food products should not be done randomly. 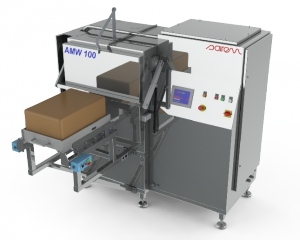 SAIREM is the only manufacturer able to offer a wide range of technologies for heating or treatment based on dielectric losses.The effectiveness and quality of food heating are directly dependent on the properties of the treated products and especially on the expected results: organoleptic quality, shelf life, appearance etc. Unlike other manufacturers, SAIREM covers a wide range of frequencies. The choice of microwave or radio-frequency for treatment is not arbitrary; it is a highly specialized task. It is a fundamental skill to validate a method of treatment, especially for the productivity and the final quality control of processed food. Microwaves and radio-frequencies have the unique property of heating products from inside maintaining their flavours without degradation. The criticism often made to these technologies is the risk of thermal runaway during a one-time cook or a thawing. SAIREM has acquired good knowledge of these problems and can provide customized solutions, in continuous flow or batch mode treatment, involving tailored frequency according to the thickness and other characteristics of the processed products. The synergetic association of other energies such as infrared, forced air or steam cooking can maximize the effectiveness of the treatment. The products have excellent organoleptic properties; in addition, energy savings of over 50 % are achievable! These energy savings are generally accompanied by significant gain in materials for the case of defrosting or cooking. SAIREM has developed a complete range of standard machines to meet the special needs of our customers. 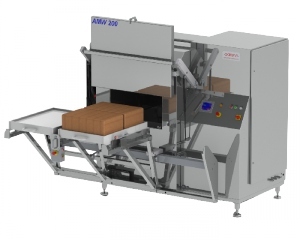 SAIREM’s offer does not conclude with the delivery of turn-key ready equipment. Our mission is to advise our clients to continually improve the quality of their production, we can train your specialists and we also provide maintenance throughout the world. SAIREM’s performance is equivalent to the performance of our customers. 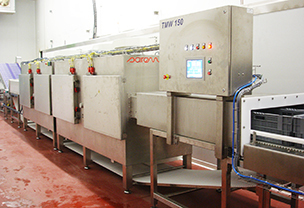 In addition to their simplicity, SAIREM’s microwave and RF technologies bring new opportunities to all frozen food sectors as: seafood, meat processing, salting, vegetal products processing, pre-cooked dishes etc. 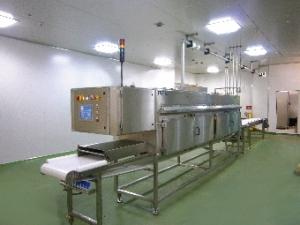 The equipment developed by SAIREM allows very good control of the temperature in compliance with food safety standards and in very short processing time for tempering, defrosting/thawing, pre-cooking and cooking, pasteurization, sterilization, insect control, reheating, dehydration etc. The destruction of larvae and other insect colonies without toxic chemical products is the main concern of producers and suppliers. 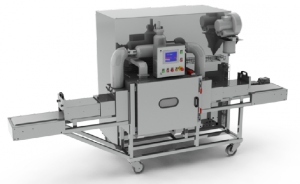 The equipment developed by SAIREM offers an economic and efficient solution to disinfestation of dried foods like flour, cereals, lentils, beans, mushrooms, cocoa beans, nuts etc.